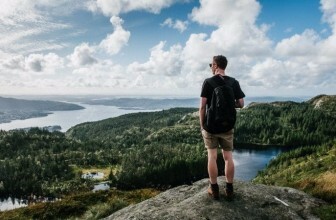 If tours and travels are an integral part of your life, the only companion that would always stay with you is a backpack. However, these are quite common among those who keep touring every now and then. Without a backpack, it’s difficult to find something that would fit your luggage so smartly. But what if you come across a smarter baggage solution this time? 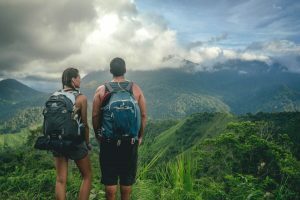 To be precise, if you simply love traveling, you will never look for a backpack that is carried by mountaineers or hikers. But you can always look for the multi-purpose ones like what are manufactured by Ozark Trail. 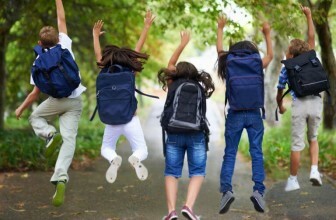 It is a very popular brand that is renowned for offering diverse backpacks for diverse purposes. So, if you are really looking for a high-quality, trendy and sturdy bag, an Ozark Trail backpack will never disappoint you. Ozark Trail brings you a heavy-duty backpack that capacitates up to 35 liters. With thermal-insulated pockets, this Choteau backpack can store all your gears including other essentials like sunglasses, food and what not. There are even pockets for carrying water bottles that would assure complete protection against other items in the bag. In terms of comfort, it also leaves no question as it has compression straps intended to shed the load as much as possible. What makes it unique is its interior storage sleeve that supports a hydration reservoir. The shoulder straps are air-mesh padded while the back panel makes sufficient airflow. So, if you are in search of a trendy backpack, this would no doubt be a smart pick. Comprising mostly polyester, this Ozark Trail backpack has a little touch of ABS and metal, which altogether makes it sturdy. Safety pocket provided for carrying laptop, tablet etc. Campers and hikers get ready to set out on the most adventurous trips with this new-age Montpelier technical backpack from the house of Ozark Trail. Making 45-liter space inside, it comes with mesh pockets on both sides. Compatible and sturdy, this backpack has a detachable aluminum frame along with pole attachment points for trekking. The pockets come zippered with lids attached that strengthen the security of the contents inside. Carrying water bottles in the dual hydration ports will involve no hassles, no matter how long the trip is. Featuring a smart air-flow system and compression straps, this backpack is worth every penny. 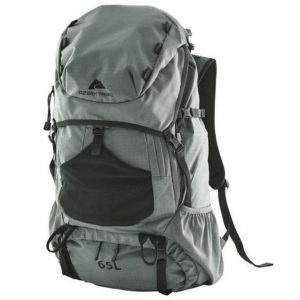 If you are in search of those huge backpacks by Ozark Trail, have a look at this Stavern Technical backpack. 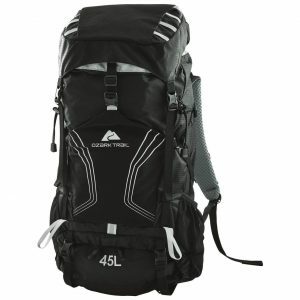 With a total of 65 liters, it makes huge space for one’s trekking gear as well as other essentials to fit in. Comprising multiple functional pockets, it is great for carrying onto 4 to 5-day trips. As it comes with a padded waist belt, the entire load will be distributed and users will find it convenient. Trekking enthusiasts will also find it quite helpful as it comes with pole attachments. The torso system is also adjustable that also adds to its convenience. Taking those long summer trips will not be challenging as Ozark Trail brings an outstanding backpack. What makes it score high among others is its thermal insulated lining that would keep the water cool for hours. Sporting a very stylish look, it has a good number of exterior pockets along with a tab that reflects in the dark. The main compartment fits in a good number of things. Designed to be used for multiple purposes, this 24-Can Cooler backpack is no doubt a great companion for trekkers and campers. Now stay miles away from the hassle of carrying heavy luggage while hiking with this sensational backpack brought to you by Ozark Trail. 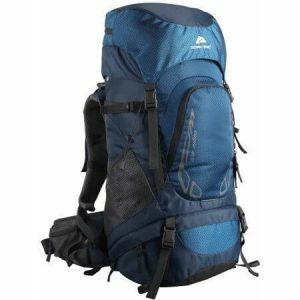 Belonging to the Eagle version, it capacitates a total of 40 liters, which makes ample space to carry everything you need on those hiking trails. Made of poly-fabric, this backpack scores high in durability while its regulating back panel and padded straps keep its users cozy and comfortable. The bottom pocket has a rain cover to keep it protected against harsh rainy conditions. When it comes to buying a backpack from Ozark Trail, there is nothing much you need to worry about. These bags are indeed special and stand out from others in terms of design, color, and strength. But if you are thinking of a long-term investment, you need to be a bit cautious. You need to go through reviews on the best bags or might have to take opinions from friends or tour lovers. 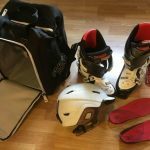 However, if you think these are a bit time-consuming, the following factors will ease your job to know about things you should consider prior to buying an Ozark trail backpack. Undeniably, polyester and nylon are two of the chief materials used for manufacturing Ozark Trail backpacks. In fact, this is a big reason why these backpacks are well-known for their sturdiness. Moreover, these materials account to their comfort level to a good extent and hence score high in terms of ruggedness. Needless to say, this is a basic factor to consider while choosing a backpack. However, Ozark Trail backpacks are usually made with adequate space inside that easily fit a large number of essentials. As the space for these backpacks is measured in liters, one can pick an Ozark Trail backpack from the range of 24 to 65 liters. This means that there are lightweight as well as heavy-weight backpacks, which you can consider for varying purposes. No matter how spacious your backpack is, the comfort factor should never be compromised. However, it does not always mean that a bag with a huge space has a heavy weight. 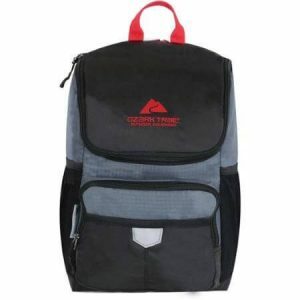 In fact, Ozark Trail backpacks are light in weight that eliminates the stress from the shoulders. Moreover, these come with adjustable straps and segregated pockets that assure convenience for users. So, if you are planning a long trip, these backpacks are sure to keep you at ease. Ozark Trail has different bags with different designs with the intention to meet a variety of needs. For instance, there are bags with varying styles of compartmentalization while there are those with zipper styles and back panel. Besides design, you will come across nice, vibrant colors, suiting your personality. Of course, you have little essentials to push in, and here comes the backpack’s internal frame into play. Keeping in mind the list of things you need to carry, you must check the internal pockets and ensure that they should meet your purpose. 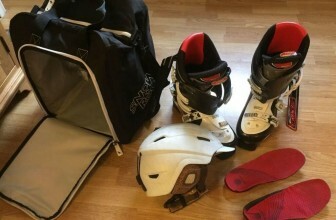 Most importantly, the internal frame should be such that you are able to pack and unpack in quick time. Trekking, camping or simply exploring around countries is no more going to be a daunting task with an Ozark Trail backpack. 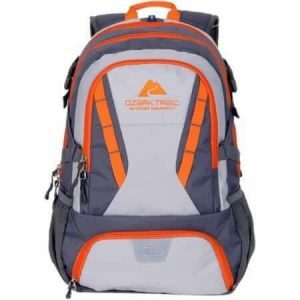 Whether you talk about their shades or design, comfort or weight, material or price, each and every aspect about Ozark Trail backpacks is so good. 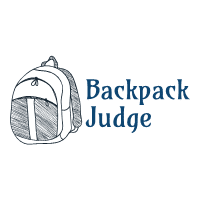 Moreover, the five products that have been reviewed above will surely help you choose the right backpack as per your needs. Just speak of a purpose and this brand will bring you a bag of its kind. Even if you wish to make a new style statement, an Ozark Trail backpack will do a fantastic job.